Hale Hamilton manufacturers a configurable range of Manual Valve Modules for high pressure gas applications. The modules are based on our highly reliable N6 valves and are suitable for a range of applications. Balanced Valve Mechanism for easy valve actuation. Adiabatic Shock Tested Valves for Oxygen Application. 2-4 valves per manifold (typical). 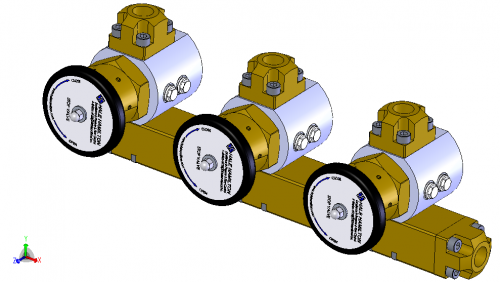 Manifolds can be bolted together to create longer valve manifolds.